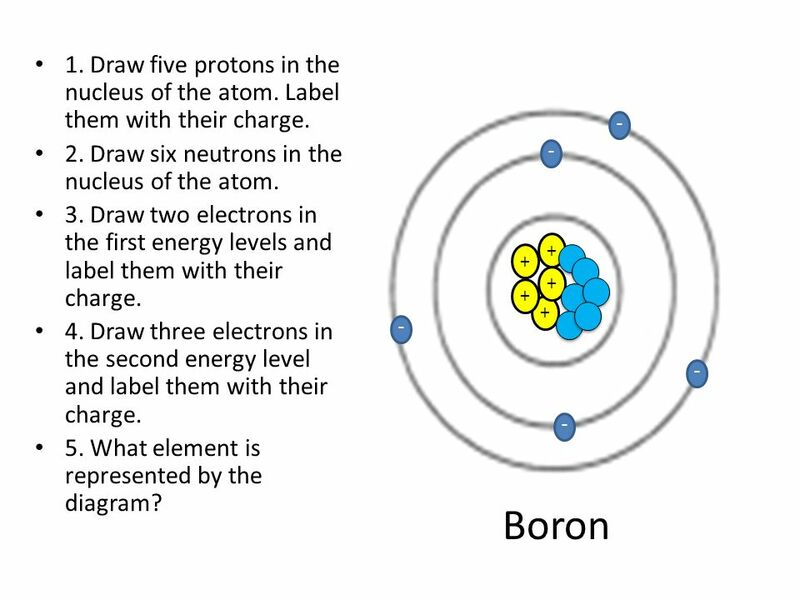 The three main subatomic particles that form an atom are protons, neutrons, and electrons. The center of the atom is called the nucleus . 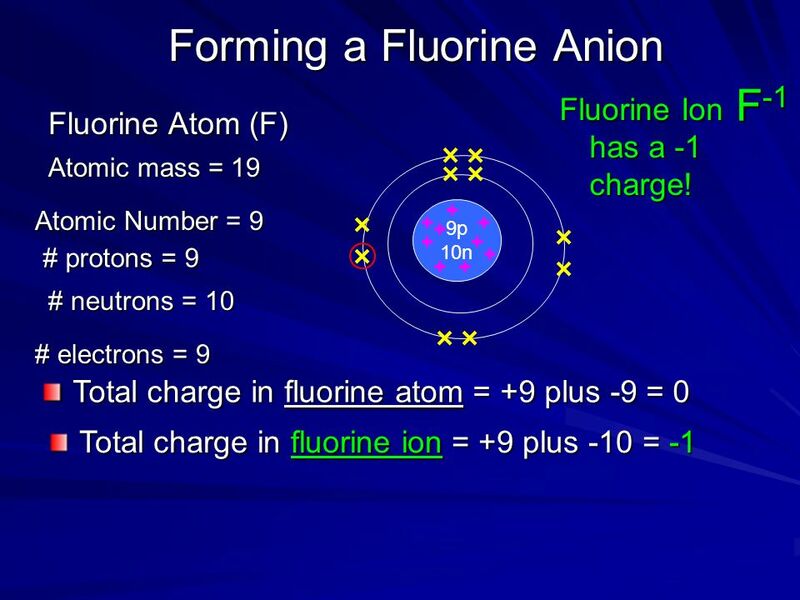 First, let's learn a bit about protons and neutrons, and then we will talk about electrons a little later.... AtomsThe charge on a proton is +1. Its location is the nucleus, and its mass is 1.67262 x 10-27 kg. Protons have an effective size of about 1.2 x 10-15 m, and the nucleus is roughly the cube root of the number of nucleons (protons and neutrons) times that typical proton size, usually still on the order of 10-15 to 10-14 m in size. Protons and neutrons are in the center (nucleus) of the atom. 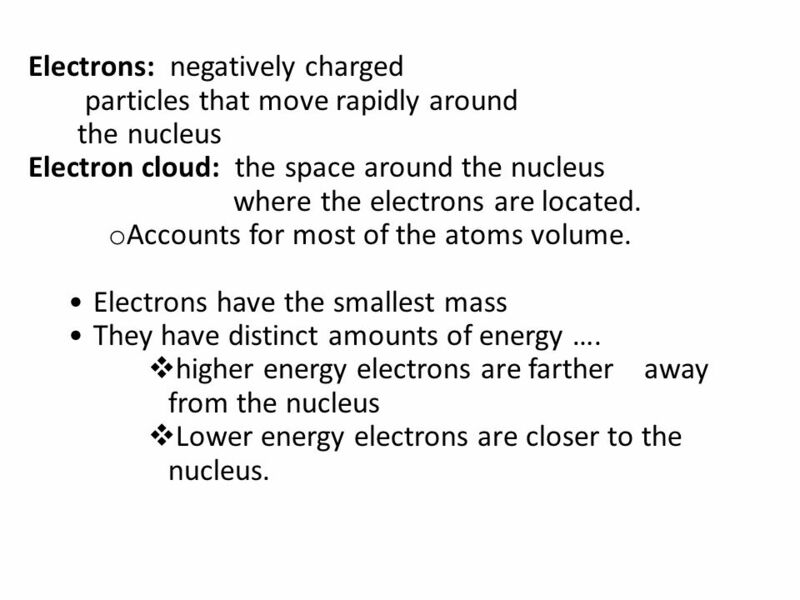 You may want to mention that hydrogen is the only atom that usually has no neutrons. The nucleus of most hydrogen atoms is composed of just 1 proton. A small percentage of hydrogen atoms have 1 or even 2 neutrons. Atoms of the same element with different numbers of neutrons are called isotopes. These will be discussed in Lesson 2.